Acacia Honey originates from the acacia flower. Its colour varies from gold-yellow to light-green. It is distinctly clear, almost transparent. The acacia honey has a mild taste and scent and it crystallises very slowly into fine crystals, acquiring a milky-white colour. 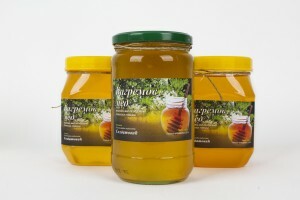 It is rich in vitamin C. The acacia honey produced by the ‘Soldatović’ Estate contains a low amount of pollen. 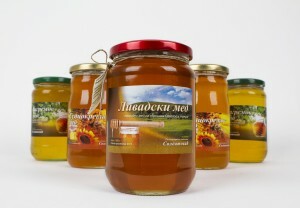 It remains in a liquid state for a long time, because it contains more fructose than glucose, but if crystallisation occurs, the crystallised acacia honey can be converted into liquid honey by placing a honey jar into a container with water, the temperature of which must not exceed 400C, to preserve its therapeutic properties. Effects: It increases appetite and promptly recovers lost strength, which is why it is recommended for nutrition of young persons. It regulates gastric acid secretion; it helps in prevention of bronchial problems, helps with sleeping disorders, stomach-intestine problems, kidney and liver diseases. 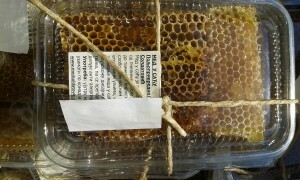 The consumption of acacia honey: one teaspoon before breakfast or diluted in lukewarm water, milk, tea or apple vinegar. Acacia honey has the lightest colour and the low content of pollen powder; hence, it can be consumed by persons allergic to pollen. In comparison to other types of honey, it has the highest content of fructose, which crystallises slowly and for that reason, this honey can remain in a liquid state for up to three years. As it is the sweetest type of honey, it is favourite among children and it is recommended for pregnant women, since it is best absorbed in the intestinal tract and most rapidly reabsorbed through the blood stream and transported into the vital organs. For sportsmen, those organs are muscles, for students – brain, for convalescents – a body part where the regeneration of tissue is taking place, etc. Sunflower Honey is a type of honey that is highly appreciated worldwide. The reason for this is exceptionally high concentration of flower pollen and certain minerals that are dissolved in sunflower honey. Its colour varies from yellow to orange and brown, and it has a pleasant taste and scent. 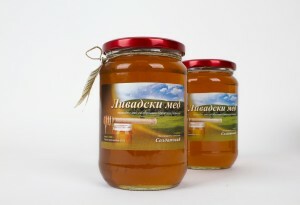 This type of honey is not highly appreciated in Serbia, as a result of the fact that it rapidly becomes crystallised. It rarely remains liquid for longer than forty days. However, let’s not forget, crystallisation is a natural property of honey. Crystallised honey can be converted into liquid by placing a honey jar into a container with water, the temperature of which must not exceed 400C, to preserve its therapeutic properties. The specific structure of sunflower makes this type of honey easily recognisable. 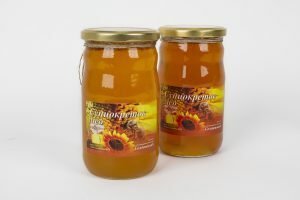 The sunflower honey made by the ‘Soldatović’ Estate contains enzymes, minerals, organic acids, vitamins, etc. Effects: It has a salutary effect in treatment of stomach-intestinal, lung and kidney diseases, and particularly heart and blood vessel diseases. It has a beneficial effect in treatment of wound-healing, dermatitis, rhinitis and sinus infections. It is recommended for persons suffering from heart diseases, elderly persons who need rest and additional energy, as well as children. Clover honey . 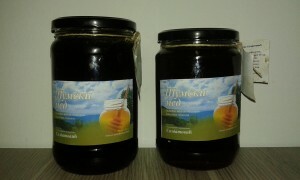 This type of honey is made of various flowering plants, growing in the meadows of the Mount Rađevina. The colour, (ranging from light-yellow to reddish and darker nuances), the taste and the scent of this honey vary, depending on the plant it originates from. 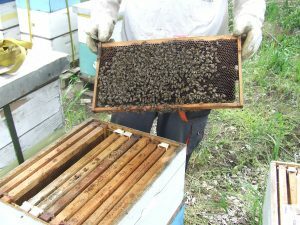 The taste depends on a plant species that dominates in the composition of honey and it can be pleasantly sweet, but also slightly bitter. The clover honey made by the ‘Soldatović’ Estate contains enzymes, minerals and other valuable components. Effects: As a result of its diverse and rich composition, clover honey has been used in folk medicine as a supplemental therapeutic aid since ancient times. The traditional medicine has later recognised that and confirmed that this honey has a salutary effect in treatment of stomach-intestinal, lung and kidney diseases, and especially heart and blood vessel diseases. Clover honey is the most complex type of honey and contains the highest number of vitamins, originating from numerous plants, each of which has a specific chemical composition. Some types of honey contain a larger amount of alkaloids, other types have more mineral substances or vitamins, while particularly important is the presence of essential oils and phytoncides (plant antibiotics by which plant defends against from microorganisms). Because of its high content of vitamins, clover honey should be taken in the period of autumn and spring flu. Honeycomb. This product of the ‘Soldatović’ Estate is a naturally packed honey, since it is placed in the healthiest possible packaging, made of natural bee wax. The colour of honeycomb varies from light-yellow to darker nuances, depending on the type of honey. Bee wax is rich in free fat acids, propolis, essential oils, vitamins and other ingredients. Chewing honeycomb is exceptionally beneficial for mucous membrane of lungs and regeneration of lung tissue; therefore, it is highly-recommended for smokers. Honeycomb has an anti-allergic effect. False Indigo Bush Honey (amorpha fruticosa). It is made from the flower of indigo bush. 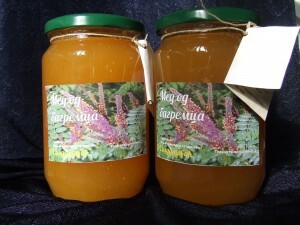 This honey is light-brown, of mild scent and taste and very similar to acacia in its properties. It is a good source of proteins, vitamins and minerals. It is particularly appreciated for its composition. It is recommended for fatigue and as an energy booster at the end of an exhausting day, but also for enhancement of immunity system. Because of its rich composition, it can be consumed by children, students, sportsmen and, particularly, convalescents. Forest Honey. It can be found in oak and sweet chestnut forests. Defending itself against plant louses, a tree exudes juice, which is collected, processed and transformed into honey by bees. Such honey has a high nutritional value and it is richer in vitamins and minerals than any other type of honey. Forest honey is rich in iron and other minerals and it is characterised by its colour, which is darker than in other types of honey. It is best to consume forest honey every morning, one teaspoon before breakfast (or more, if recommended), or dissolved in lukewarm water, milk, tea or, even better, apple vinegar. Forest honey has a reddish-brown to black colour and it is characterised by a high content of mineral substances, important for proper performance of intellectual and physical activities, and for that reason its price is high – explains Dr Mladenović. 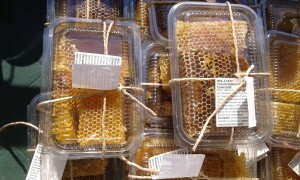 In Serbia, there is no permanent production of this type of honey, which appears in nature every second, third and fifth year. Most frequently, it appears in summer, when the nights are warm with morning moisture or dew, which is a rare occurrence. However, when these conditions are met, bees can collect tree juice, the highest quantity of which is, most frequently, produced by oak tree. It is also produced by lime tree, while particularly interesting is the forest honey made in Greece, originating from pine and fir tree and rich in mineral substances.